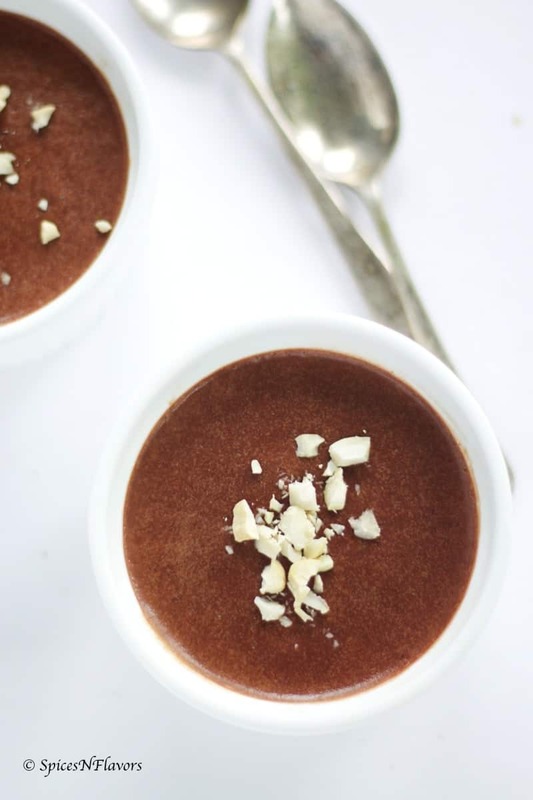 Chocolate pudding – a creamy, dreamy chocolaty love that is made using just 3 ingredients!! 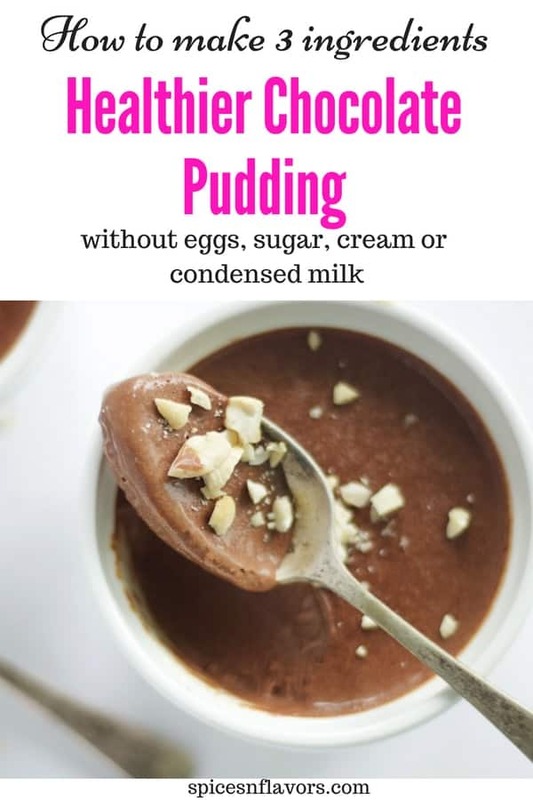 Chocolate pudding – Whats new in it? Well this Chocolate pudding is a cold dessert. But what makes it stand out is? 2. Absolutely no cooking or no baking involved. 3. 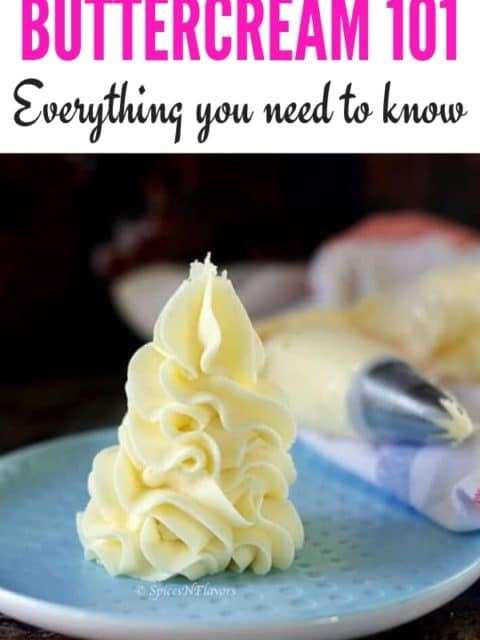 No Eggs, Sugar, Cream or Condensed milk used. 4. 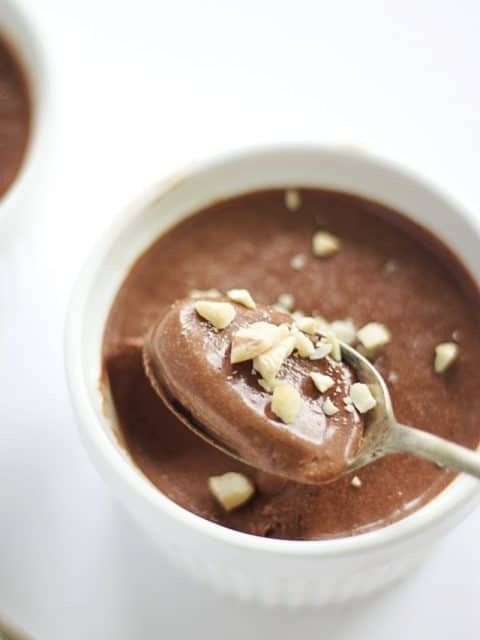 Need just 3 steps to make this delicious creamy dreamy Chocolate pudding. 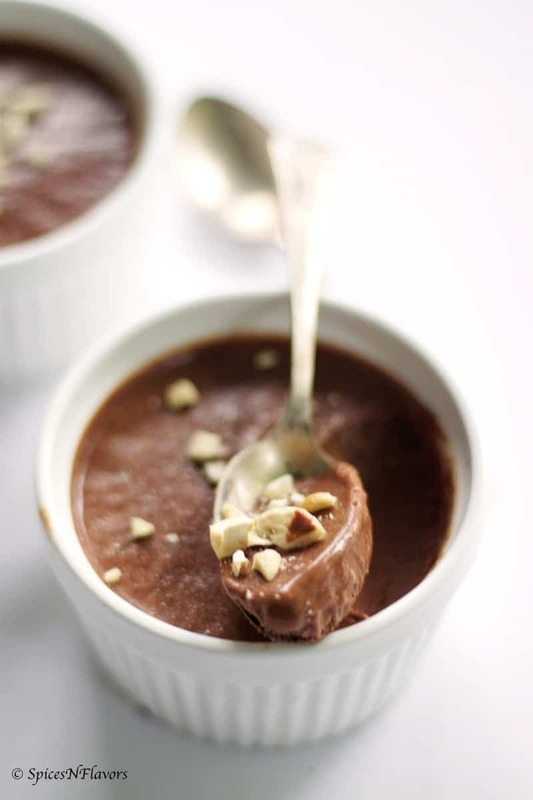 Are you guys enjoying these simple and easy recipes that I am posting these days like be it today’s post Chocolate pudding or like this 18 min Microwave Halwa, 3 ingredient cookie recipe, diy 5 min chocolate bark, cheesy monaco bites etc? Or do you want me to make proper elaborate dishes be it like this Assamese Thali or Mughlai Aloo Lajawab or may be Mushroom Biryani. If you let me know what interests you the most then I would plan my posts according to your preference. Comment in this post or let me know on Youtube or Facebook; would love to connect with you. 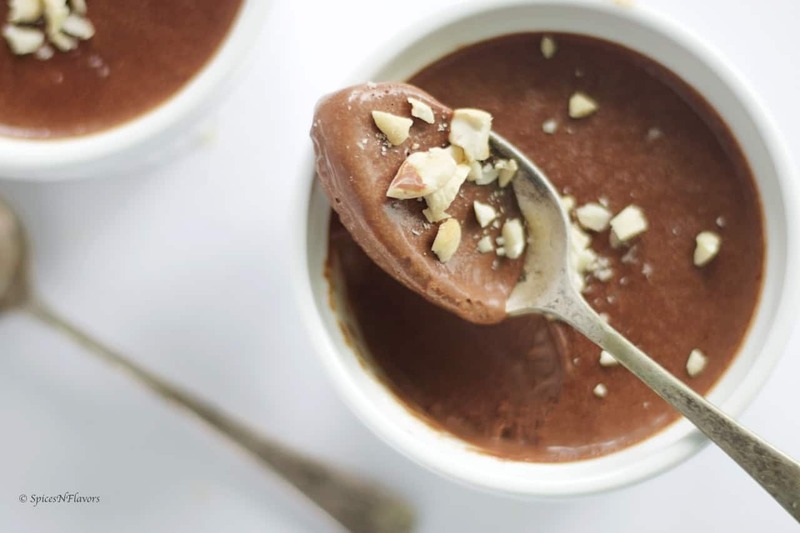 Making this Chocolate Pudding was a breeze. All you have to do is in a high speed blender blend some milk and mejdool dates, to that add some melted compound chocolate and blend again. Pour it into some ramekins and freeze. Thats all.. 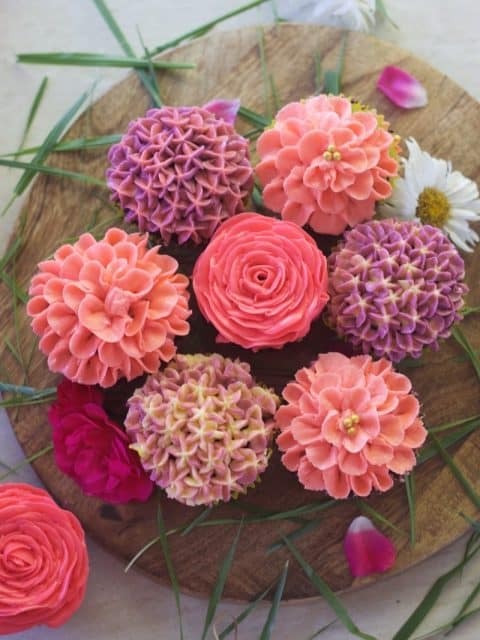 I guess this recipe is so simple that even a 5 yr old can make it. If there is one thing that I would change in this recipe then it is that next time I would reduce the amount of milk to 1.5 cups. And why so?? Well I made two batches; I left one in the refrigerator and one in freezer. The one in freezer was set well in 4 hours of time. But the refrigerator one was flowy and silky type. And I think that is due to the ratio of milk and chocolate. If I had used 1.5 cups of milk instead of 2 cups then it would have set completely in refrigerator. There is not much difference in the taste of the Chocolate pudding just the consistency. However I have seen puddings in these two consistencies so I think its a personal choice whether you like a set Chocolate pudding or a flowy. I choose to garnish it with some Cashew-nuts today to give it a colour contrast but you can choose to garnish it with Chocolate chips or cacoa nibs too. If you like this recipe then don’t forget to tag me, tweet me or instagram me. I would love to follow you and your post. 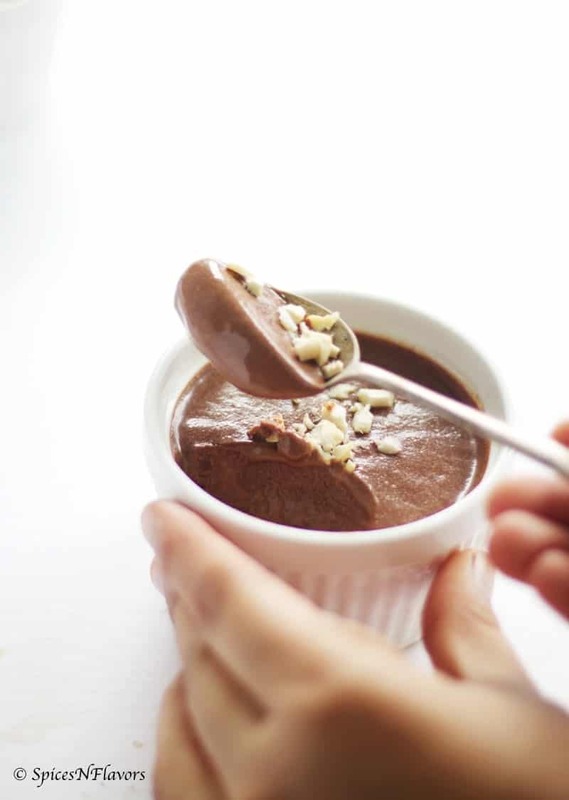 This 3 ingredient Chocolate pudding is a smooth and chocolaty pudding recipe that is made using just 3 ingredients following 3 steps only. Melt chocolate using double broiler or microwave method and keep aside. Blend together milk and dates until smooth. Add melted chocolate to it and blend until combined. Pour into ramekins and allow it to freeze for 4 hours or refrigerate overnight. Garnish with nuts or chocolate chips and enjoy. 1. Use 1.5 cups of milk if you want it to set completely in the refrigerator itself. Disclosure: This post contains affliate links. That is if you choose to purchase form these links I will get a commission with no additional charges to you. 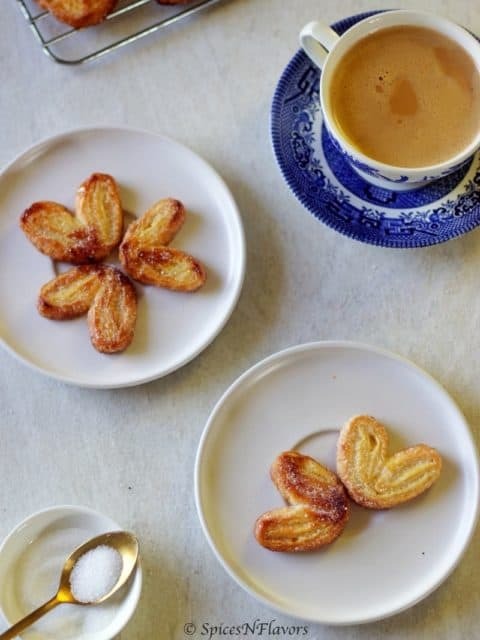 Hi sushma, thanks for sharing this recipe. Was wondering if 100% dark cacao power can be used instead? Did you try making with it, any thoughts?